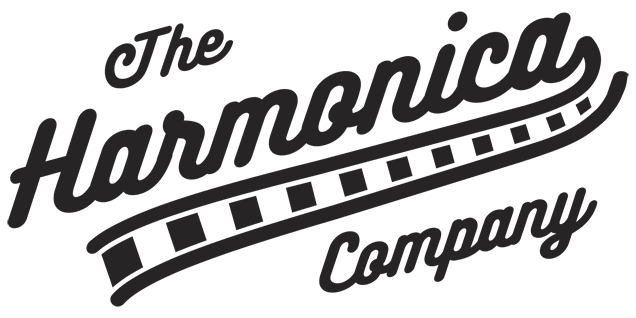 There are a number of questions that regularly arise in the day to day life of a harmonica business. Some of the most common are “What should I buy that will make me sound like [insert artist’s name]?” and “How do I learn to bend?”. The question that appears most frequently, though, is “What harmonica should I buy as a beginner?” The lazy answer is ‘a Hohner Special 20’, and 70% of the time this is probably correct; most people asking the question want a relatively inexpensive, but durable harp that is easy to bend and won’t hold them back as they progress, or be a pricey folly if they give up. The reality, however, is somewhat more complex, so let’s examine the options in more detail. This is the first question to ask. There are, of course, other variants of the harmonica, such as Octave and Tremolo, but these are fairly niche instruments that we’ll discuss at a later date. Most of the time customers who are looking to start playing the harmonica are not considering a chromatic, perhaps because it is seen as being harder to master, and maybe an instrument to learn after becoming proficient with the diatonic (I don’t necessarily subscribe to this view, but it is prevalent). Let’s examine the diatonic options first, then. These are what most people visualise when they hear the word ‘harmonica’. Typically having 10 holes and with the capability to bend notes, diatonic harmonicas by their very nature are quite limited in the range of notes that they can produce. These limitations can be bypassed to some extent by player technique – bends and overblows – mean that notes that aren’t naturally available can be produced – but the overall range is still fairly narrow. This is why serious diatonic players usually own a number of harmonicas in different keys. So, if you want to play the blues or Bob Dylan style folk, a diatonic is the way to go. Just remember that you’ll need more than one if you intend to play songs in different keys. Blues Band: This is one of Hohner’s most inexpensive models, and plays relatively well considering the price. Unlike other similar entry level harmonicas that are made in China, the quality control is fairly decent, and the sound is clean if not particularly loud. Bending is relatively easy and the plastic comb means its easy to keep clean. Special 20: This would be my first choice for beginners (and anyone wanting a great sounding blues harp with a plastic comb that doesn’t break the bank). Its significantly louder than the Chinese made Hohners (Special 20s are made in Germany) and bending is much easier and more fluid. 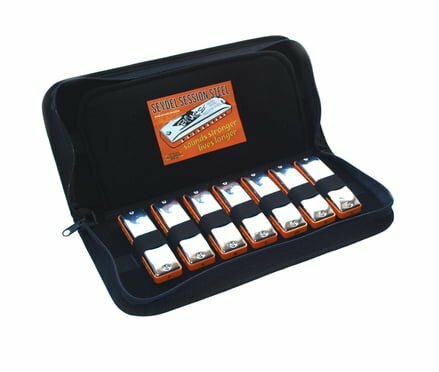 Probably the best value harmonica on the market. Marine Band Classic: In my opinion, this is one of the best sounding harmonicas in Hohner’s range. It’s easy to bend and comes in under £30 in most keys. The only downsides are the wooden comb, which has only cursory sealing and is therefore vulnerable to swelling, and the traditional construction, which makes it harder to replace reed plates than bolted together harps. The Deluxe and Crossover address these issues, but are significantly over our imaginary £35 budget. Session Standard: This is quite similar to Hohner’s Special 20. It has a plastic comb and durable brass reeds. Build quality is good and it produces a nice clean sound, with bends being available, albeit with slightly less ease than on the Special 20. If you can squeeze a bit more out of your budget, the Session Steel, which is around £13 more, has the same basic design, but its stainless steel reeds provide a brighter, clearer sound and significantly enhanced longevity. Solist Pro: This has a wooden comb, like the Marine Band, but has much better sealing, so is less vulnerable to moisture. An overlooked harp that should be more popular than it is. Harpmaster: This is the entry point for Suzuki harmonicas that are made in Japan, and features a plastic comb and Suzuki’s signature phosphor bronze reeds. It features a traditional cover plate design, and the sound is akin to a Special 20, albeit slightly quieter and a little bit less bluesy. Bluesmaster: This has the same basic materials as the Harpmaster, but has a more modern design that gives it a look and feel very much like a Special 20. Another overlooked harp. Other Japanese made Suzukis fall outside of our imaginary budget, but if you can stretch to the £50 mark, the Manji would be my pick. It’s got a composite comb which provides the sound and response of wood, but with none of the drawbacks. This is a really great harp that’s easily comparable to Hohner’s Crossover. Major Diatonic: This is a 10 hole diatonic that is available in a wide range of keys. It is interchangeable with all of the Lee Oskar range, meaning that if you want to convert it to a harmonic minor, natural minor, or Melody Maker tuning, you need only change the reed plates. Made by Japanese harmonica specialists, Tombo, it is easy to bend and sounds great on blues riff in particular. There are, of course, a number of other manufacturers out there making great harmonicas, but these four brands should generally be your starting point for diatonics. Chromatic harmonicas are generally bigger, more complex and more expensive than diatonics. They typically work by having two sets of reed plates stacked on top of each other, tuned a semi-tone apart. In most cases a spring loaded slide is used to direct the flow of air to the upper or lower holes, thereby enabling full chromaticism, and, to some extent, negating the need to buy multiple harmonicas in different keys (some chromatics are available in a range of keys, but this is related to their melodic range rather than their ability to play in specific keys). Hohner Chrometta: These are relatively inexpensive Chinese made chromatics, and can be found in a range of sizes, from 8 to 16 holes. They’re a good introduction to chromatic playing, but they do feel a little lightweight and don’t have the tone of the more expensive harps. Hohner Discovery 48: This is the entry point for German made Hohner chromatics and features an ABS comb. As such, it’s probably the pick of Hohner’s range for beginner chromatic players, being both durable and resistant to moisture. Hohner CX12: The CX12 is an acquired taste in aesthetic terms, but from a playability and maintenance viewpoint it should be high on most players’ lists. It’s extremely easy to disassemble for cleaning, and the moulded plastic mouthpiece/cover is durable and easy on the lips. Its tone is clear, even in the upper registers, and it’s available in a range of keys. Seydel Deluxe Chromatic: This is the only Seydel chromatic that falls within our budget. It is similar in feel to a Hohner Chromonica 48, but features an ABS comb, making it more suitable for players for whom moisture is an issue. Seydel also offer a similar model with longer lasting stainless steel reeds (the Deluxe Steel Chromatic) but this is significantly more expensive. So, there you have it – a choice of chromatics and diatonics that will work well for most beginners. As ever, any comments or questions please feel free to contact us.